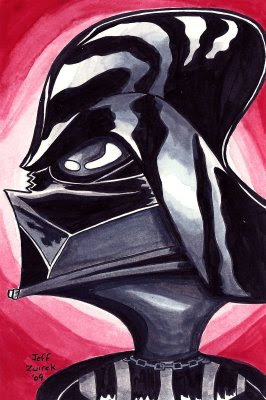 Darth Vader, commissioned by Mark. Ben and Darth framed together. Tomorrow, the Matrix.